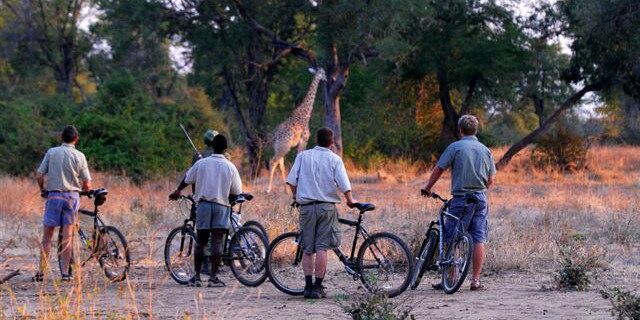 Mountain biking is offered at a handful of Eco Lodges and safari camps in southern Africa. 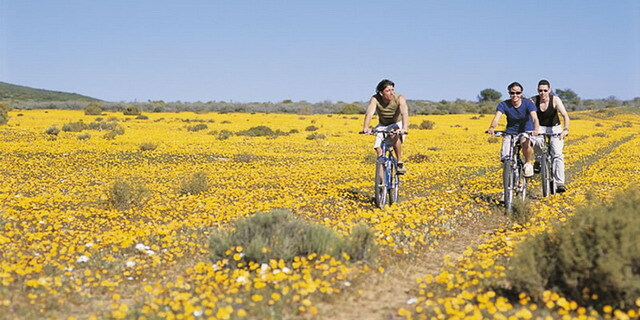 Biking not only provides the opportunity for some exercise, it is also a fun way to explore the local area. Bikers can cover much more ground than walkers, but still experience a similar sense of connectedness to the environment, with minimal technological separation between biker and the wilderness. 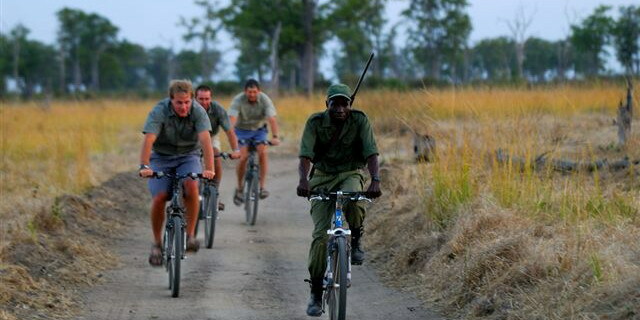 In areas where dangerous game is present, bikers will be accompanied by an armed guide, for safety.